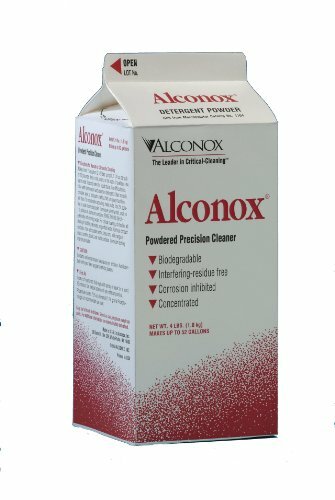 Details: Alconox biodegradable, anionic powder detergent. Concentrated for manual and ultrasonic cleaning. Ideal for cleaning glass, plastics, metals, ceramics, porcelain, rubber and fiberglass. A good replacement for hazardous solvents and corrosive acids.